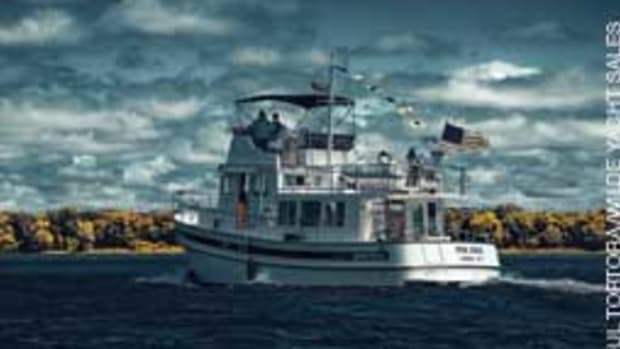 Simply put, a good trawler is one that will handle the kind of cruising its owner intends, and do so safely, reliably and comfortably. The Catch-22 is that there are no working crystal balls, and many people starting their search for the perfect trawler have no idea what kind of cruising they&apos;ll be doing. So it&apos;s a good idea for newbie trawler buyers to spend time seriously considering what they need in a trawler yacht before the shopping begins. Someone buying a second or third boat has a serious advantage here, but first-time shoppers who have done their homework stand a far better chance of buying the right boat. 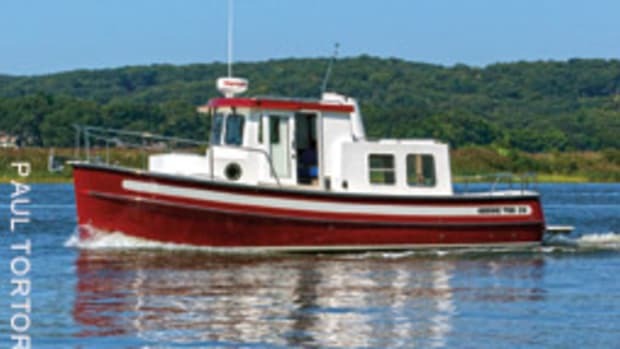 Of course, there&apos;s no one trawler that meets everyone&apos;s needs. 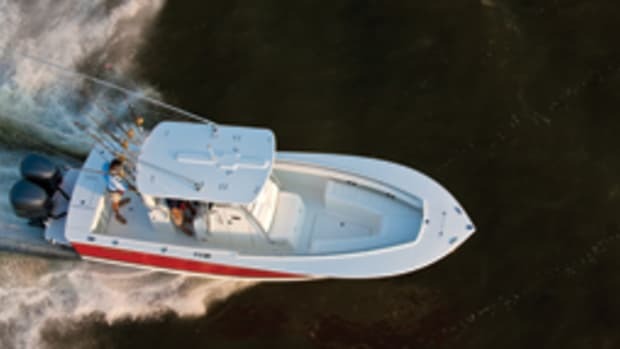 For a couple who use their boat on weekends and summer vacations, having a vessel with a turn of speed is often important because it can extend cruising range. Speed becomes less important for a retired couple with lots of time. It&apos;s not hard to design a trawler, but designing a good trawler takes years of training and experience. 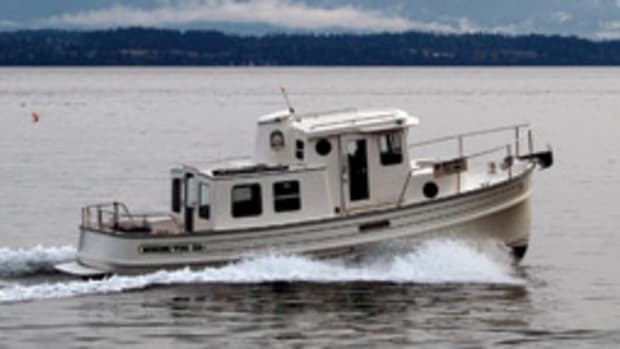 With that in mind, certainly one of the elements of a good trawler is that it was designed and its scantlings specified by an established naval architect with long experience designing trawler yachts. When it comes to a design that will carry me miles offshore I don&apos;t want to be on the bleeding edge. Another vital element is seaworthiness. It doesn&apos;t just happen - it starts with the design of the yacht and is built in from the keel up. The first rule of seamanship is to keep the water on the outside, and rule two is to keep the vital systems running when the going gets tough. Odds are high that a seaworthy trawler caught in bad weather is one that will survive the storm. Seaworthiness comes right back to comfort, reliability and safety. 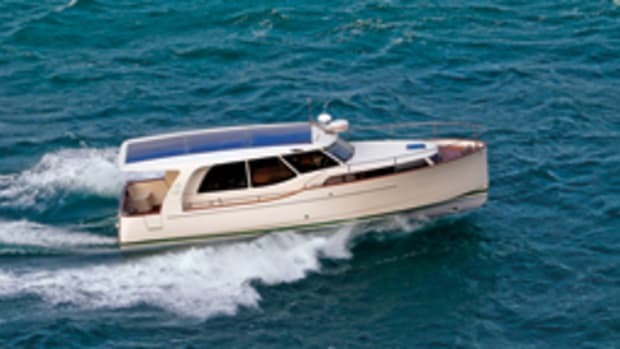 Brand is one of the most important elements because buying what the market considers a good brand is usually the first step on the path to getting a good trawler yacht - and buying a lesser or no-name trawler often leads to disappointment. I&apos;d go for a trawler from a builder that has been around and has been building trawler yachts for a long time - at least 10 years. A great track record in the market is hard to beat, and although a buyer has to pay more for a top brand, the payback comes over the course of ownership and at resale time. The record shows that serious problems occur much less often with top brands than with lower-quality brands - and when they do, the builder is there to lend a hand. 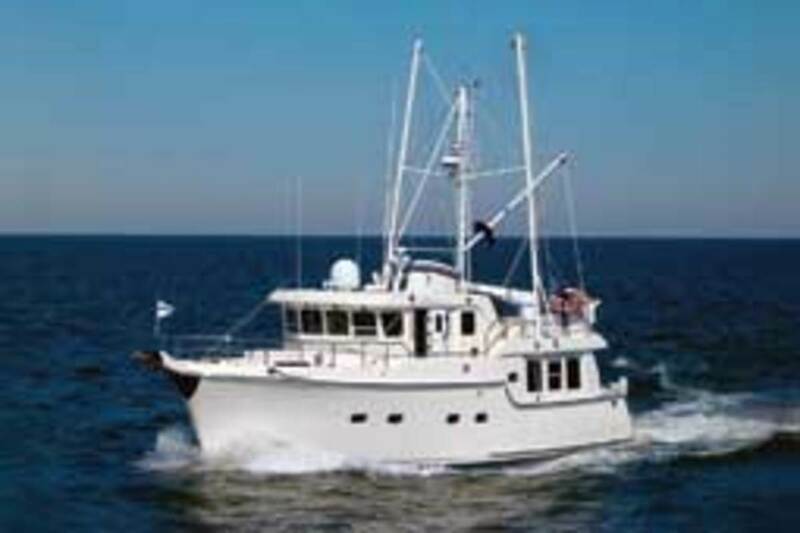 Simply put, we trawler owners buy our yachts for the enjoyment and adventure we expect them to bring. With a top-quality brand, that&apos;s a reasonable expectation. If the admiral isn&apos;t happy, no one on board is happy. Let me take it to a personal level and say that my wife is a great cook and loves cooking, and a trawler yacht with a tiny galley, no counter space and playhouse-sized appliances does not meet her needs. As a result, our trawler&apos;s galley has more counter space, a larger fridge and freezer, and a better stove than we have at home. 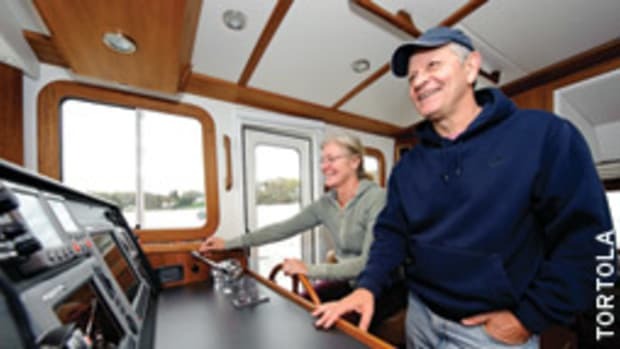 I don&apos;t suggest for a minute that everyone needs such amenities, but my wife does, and they became a high priority when it came time to buy a retirement boat that we&apos;d spend months at a time living aboard. New or used? There&apos;s no right answer for everyone. 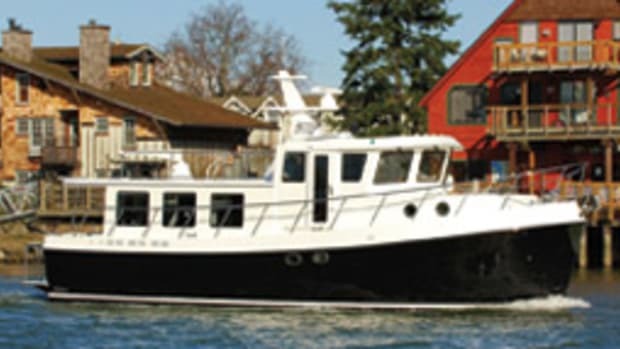 Buy new or buy used, but buy a trawler yacht that makes your heart sing. And if the admiral is part of your team, it should make the admiral&apos;s heart sing, too. Lastly, when it comes to trawler yachts I like to keep it simple. 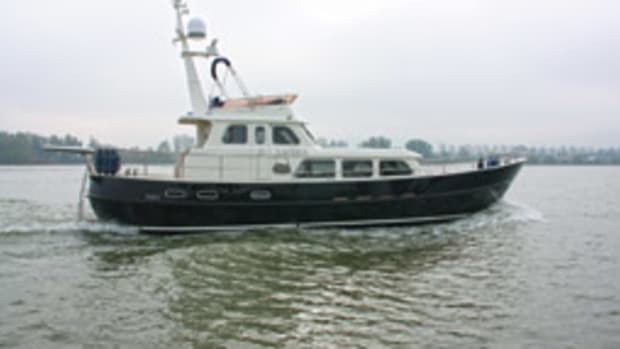 A trawler yacht whose systems are simple and straightforward and easy to understand and operate is the one for me. The more complex things get, the easier it is to lose track and make mistakes. Milt Baker had a lot more time to cruise after he sold Bluewater Books, a Fort Lauderdale, Fla., landmark and one of the premier nautical bookstores in the United States. 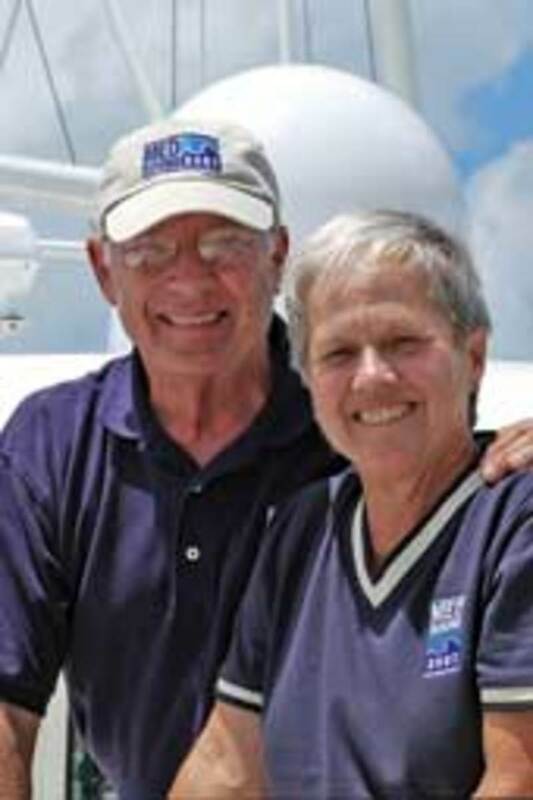 Since he took delivery of a Nordhavn 47, Bluewater, in 2005, he and his wife have covered 25,000 nautical miles and completed numerous offshore passages, including an Atlantic crossing to the Mediterranean, where they spent two summers cruising between Barcelona and Montenegro and Croatia.